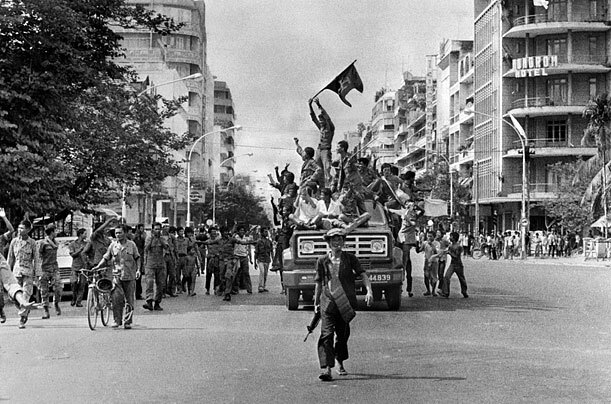 Khmer Rouge fighters celebrate as they enter Phnom Penh on April 17, 1975. On this date, Phnom Penh in Cambodia fell under the control of the Khmer Rouge, the guerrilla group led by Pol Pot that was funded and fueled by Chinese Communists. Pol Pot immediately directed a ruthless program to “purify” Cambodian society of capitalism, Western culture, religion, and all foreign influences. He wanted to turn Cambodia into an isolated and totally self-sufficient Maoist agrarian state. Foreigners were expelled, embassies closed, and the currency abolished. Markets, schools, newspapers, religious practices, and private property were forbidden. Members of the Lon Nol government, public servants, police, military officers, teachers, ethnic Vietnamese, Christian clergy, Muslim leaders, members of the Cham Muslim minority, members of the middle-class, intellectuals, and the educated were identified and executed. Anyone who opposed was killed. 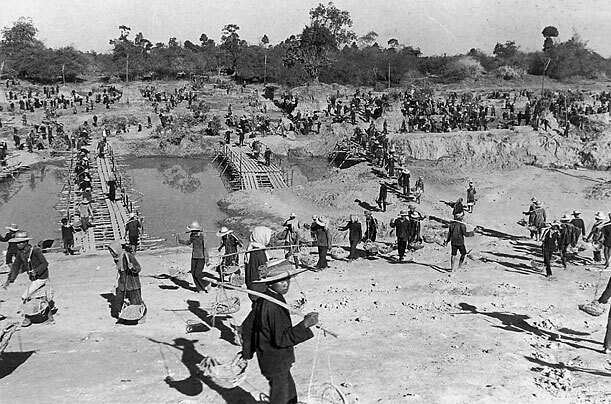 An undated photograph shows forced laborers digging canals in Kampong Cham province, part of the massive agrarian infrastructure the Khmer Rouge planned for the country. The Khmer Rouge forced all city residents into the countryside and to labor camps. During the three years, eight months, and 20 days of Pol Pot’s rule, Cambodia faced its darkest days; an estimated 2 million Cambodians or 30% of the country’s population died by starvation, torture, or execution. 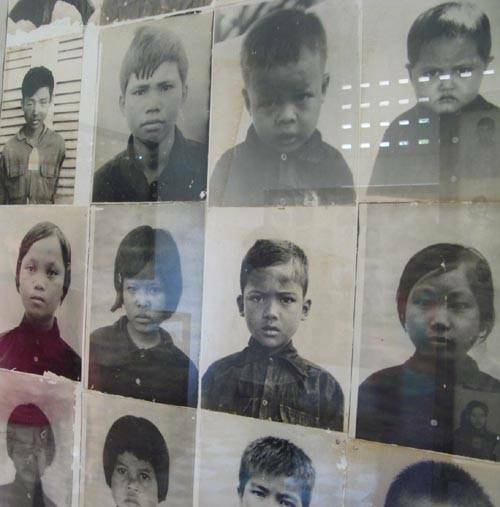 Almost every Cambodian family lost at least one relative during this most gruesome holocaust. 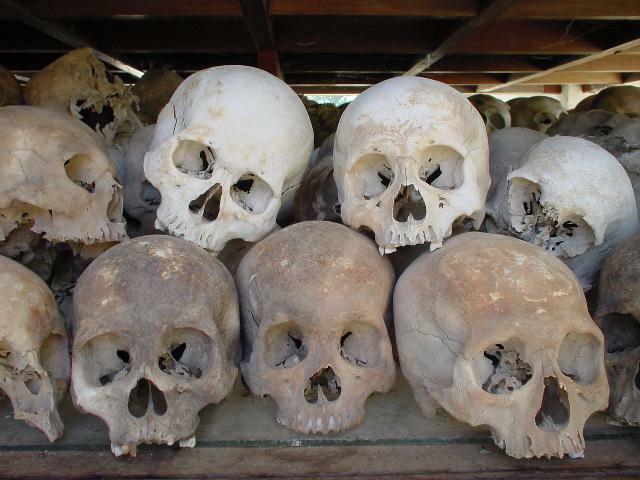 Skulls of victims of the Khmer Rouge at the Killing Fields. Perhaps the most notorious of the atrocities that occurred under the rule of Pol Pot occurred at Security Prison 21 (S-21), formerly the Tuol Svay Prey High School (named after a royal ancestor of King Norodom Sihanouk of Cambodia) in Phnom Penh. The five buildings of the complex were converted in August 1975 into a prison and interrogation center by the Khmer Rouge regime. All the classrooms were converted into cells. The windows were enclosed in iron bars and covered in barbed wire. The classrooms on the ground floor were divided into tiny cells, 0.8 x 2 meters each, for one prisoner. Female prisoners were housed on the middle floors and the upper-story classrooms were converted into mass cells. 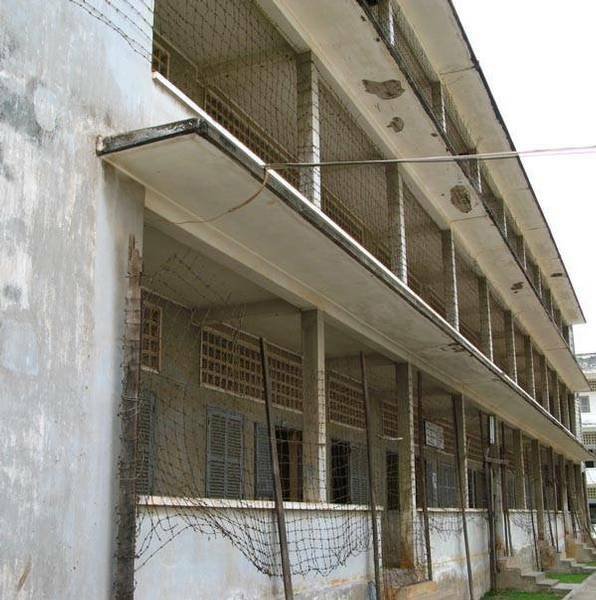 S-21 Tuol Sleng Prison was formerly a school. One of the administration offices belonged to Comrade Duch, a former teacher and the infamous commandant of S-21 who recently stood trial and eventually apologized for his crimes. Alongside Duch was a workforce of 1,720 staff, comprising prison warders, office personnel, interrogators, and general workers. Many of the sub-units of the prison were staffed by children between the ages of 10 and 15 who were specially selected and trained for their role. They became increasingly dissocialized and evil, and were exceptionally cruel and disrespectful towards the adult prisoners and staff. Children also formed the majority of the medical staff and were untrained. From 1975 to 1979, an estimated 17,000 people were imprisoned at S-21 (some estimates suggest a number as high as 20,000, though the real number is unknown); there were only twelve known survivors. 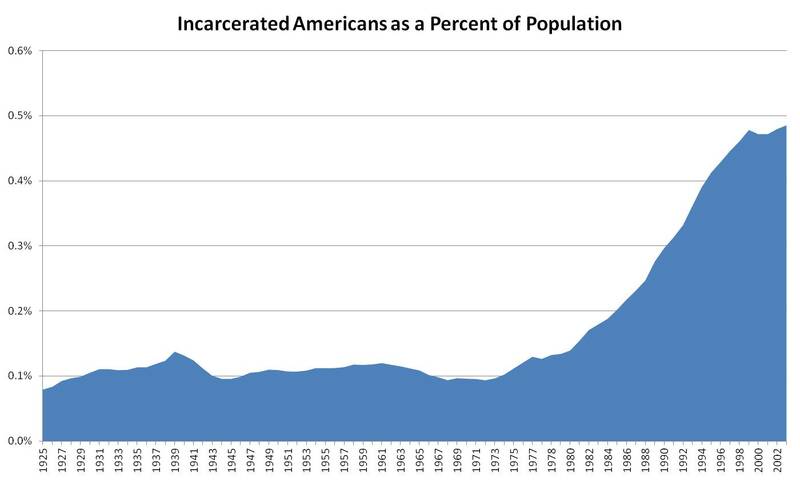 At any one time, the prison held between 1,000 to 1,500 inmates. They were repeatedly tortured and coerced into naming family members and close associates, who were in turn arrested, tortured, and killed. Thousands of children died in S-21 Tuol Sleng. Prisoner Pon Ny, in leg chain (undated). Every morning, all prisoners were ordered to pull their shorts down to the ankles so they could be inspected. 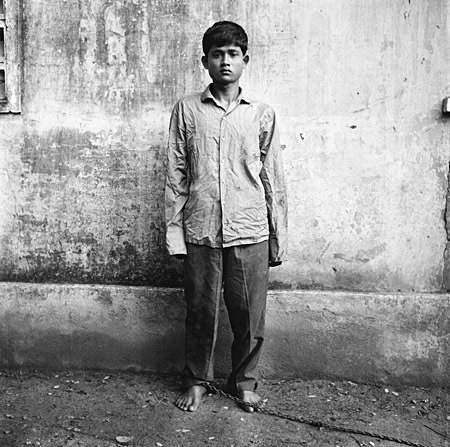 Despite remaining shackled, they were then ordered to exercise by moving their legs and arms up and down. Prisoners were inspected four times a day to check their shackles weren’t loose. Toilets consisted of small iron and plastic buckets and prisoners had to ask permission of the guards before relieving themselves. If they didn’t, they were beaten or whipped with electrical wire as punishment. They had to stay silent at all times unless being interrogated and risked electrocution if they disobeyed any of the many regulations. Bathing consisted of a tube of running water poked through a window to splash water on them for a short time. This happened only every two or three days at most, sometimes as rarely as fortnightly. Unhygienic living conditions caused many prisoners to become infected with skin rashes and other diseases and no medicine was given for treatment. On January 7, 1979, Vietnam invaded and freed the Cambodian people from Khmer Rouge’s reign of terror. Six hundred thousand Cambodians fled to Thai border refugee camps. Fearful to return back to Cambodia, many Cambodians had no choice but to emigrate to the United States, France, or Australia. Today, many people and organizations are educating the world about the Cambodian Killing Fields. Only through awareness will the world remember the lessons of the genocide, honor the memories of the 2 million killed, and promote peace and tolerance so as to not to relive the same dark days. 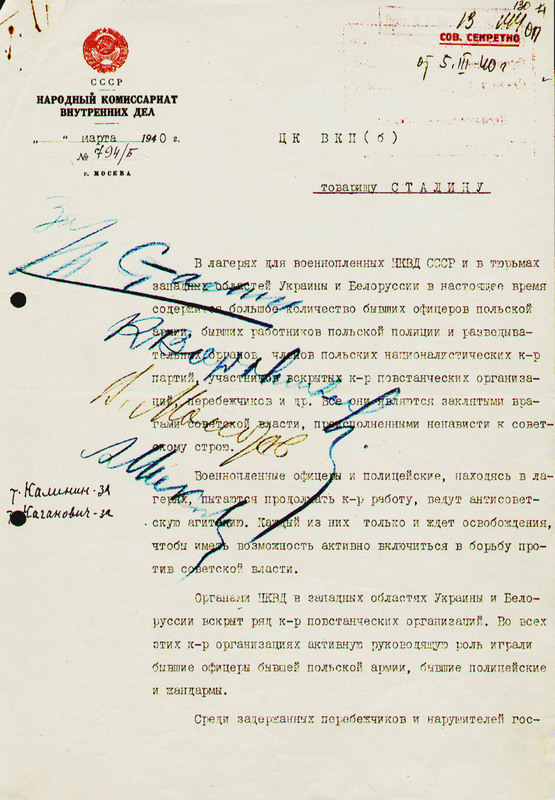 The accepted proposal of Lavrentin Beria to murder all Polish officers who were war prisoners in the Soviet Union. It has been suggested that the motive for this terrible step [the Katyn massacre] was to reassure the Germans as to the reality of Soviet anti-Polish policy. This explanation is completely unconvincing in view of the care with which the Soviet regime kept the massacre secret from the very German government it was supposed to impress… A more likely explanation is that… [the massacre] should be seen as looking forward to a future in which there might again be a Poland on the Soviet Union’s western border. Since he intended to keep the eastern portion of the country in any case, Stalin could be certain that any revived Poland would be unfriendly. 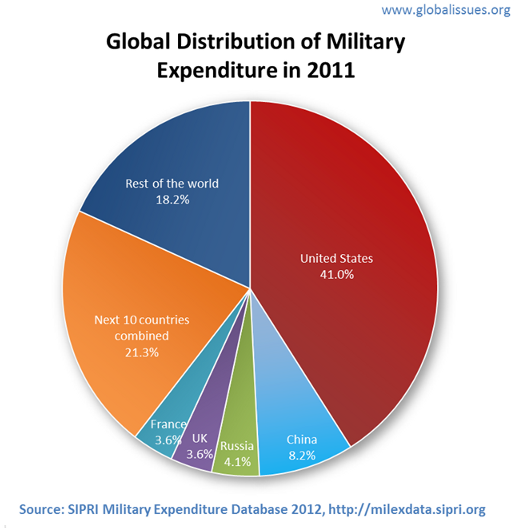 Under those circumstances, depriving it of a large proportion of its military and technical elite would make it weaker. Since Poland’s conscription system required every unexempted university graduate to become a reserve officer, the internees included much of the Polish intelligentsia, and the Jewish, Ukrainian, Georgian and Belarusian intelligentsia of Polish citizenship. Thus, the Katyn massacre is one of the deadliest anti-intellectual atrocities in history. Gerhard L. Weinberg, A World at Arms: A Global History of World War II (New York: Cambridge University Press, 1994) p. 107. Anti-intellectualism is a resentment and suspicion of the life of the mind and of those who are considered to represent it, and a disposition constantly to minimize the value of that life. Author Susan Jacoby maintains that, due to a re-invigoration of anti-intellectualism in this country, Americans have been getting dumber over the last several decades. She argues that Americans have grown increasingly passive and uninformed amid a video-driven culture that prizes “infotainment,” celebrates ignorance, and devalues critical thinking. The net result, she says, is a “crisis of memory and knowledge” that poses a serious threat to the two pillars of American intellectual life, reading and conversation, and carries very real consequences, such as the war in Iraq. First and foremost among the forces behind the new anti-intellectualism is electronic media. The major casualties of our current media-saturated life are three things essential to the vocation of an intellectual: silence, solitary thinking, and social conversation. For example, the decline of book, newspaper, and magazine reading is by now an old story. Reading has declined not only among the poorly educated, according to a report in 2004 by the National Endowment for the Arts, but among Americans of all ages and education levels. In 1982, 82 percent of college graduates read novels or poems for pleasure; two decades later, only 67 percent did. And more than 40 percent of Americans under 44 did not read a single book — fiction or nonfiction — over the course of a year. The proportion of 17-year-olds who read nothing (unless required to do so for school) more than doubled between 1984 and 2004. And what do Americans read when they do read? 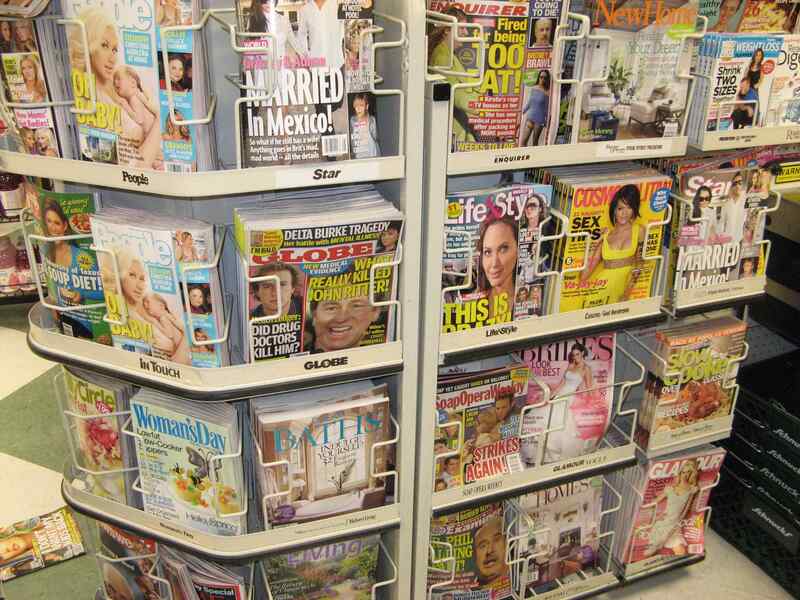 Here’s a hint: you can find multiple magazine racks like this at almost any supermarket. Grocery store magazines at checkout aisle. The time period between 1984 and 2004, of course, encompasses the rise of personal computers, Web surfing, and video games. In a study released last August, University of Washington researchers found that babies between 8 and 16 months recognized an average of six to eight fewer words for every hour spent watching videos. The inability to concentrate for long periods of time and the impatience with the process of acquiring information through written language may be a consequence of the rise of video. After all, it is difficult to spend more than a few moments before being distracted while reading hits for information on the Web. In support of this assertion, Harvard University’s Kiku Adatto found that between 1968 and 1988, the average sound bite on the news for a presidential candidate — featuring the candidate’s own voice — dropped from 42.3 seconds to 9.8 seconds. By 2000, according to another Harvard study, the daily candidate bite was down to just 7.8 seconds. The shrinking public attention span fostered by video is closely tied to an important symptom of anti-intellectualism in American culture: the erosion of general knowledge. 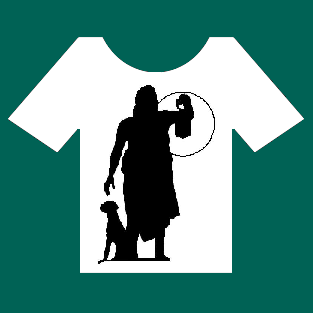 According to a national survey commissioned by the California Academy of Sciences and conducted by Harris Interactive, only 53% of adults know how long it takes for the Earth to revolve around the Sun; only 59% of adults know that the earliest humans and dinosaurs did not live at the same time; and only 47% of adults can roughly approximate the percent of the Earth’s surface that is covered with water. Furthermore, only 21% of adults answered all three questions correctly. According to a survey by the Intercollegiate Studies Institute (ISI), fewer than half of all Americans can name all three branches of government, a minimal requirement for understanding America’s constitutional system, and almost 40% of Americans falsely believe the president has the power to declare war. Only 24% of college graduates know the First Amendment prohibits establishing an official religion for the United States and only 54% can correctly identify a basic description of the free enterprise system, in which all Americans participate. In addition, the ISI survey reveals that elected officials typically have less civic knowledge than the general public — for example, 30% do not know that “life, liberty, and the pursuit of happiness” are the inalienable rights referred to in the Declaration of Independence. Interestingly, ISI examined whether other factors add to or subtract from civic literacy and how they compare with the impact of college. The survey revealed that in today’s technological age, all else remaining equal, a person’s test score drops in proportion to the time he or she spends using certain types of passive electronic media. Talking on the phone, watching owned or rented movies, and monitoring TV news broadcasts and documentaries diminish a respondent’s civic literacy. In contrast to these negative influences, the civic knowledge gained from the inexpensive combination of engaging in frequent conversations about public affairs, reading about current events and history, and participating in more involved civic activities is greater than the gain from an expensive bachelor’s degree alone. The more learned and witty you bee, the more fit to act for Satan will you bee. History is more or less bunk. It’s tradition. We don’t want tradition. We want to live in the present, and the only history that is worth a tinker’s damn is the history we make today. 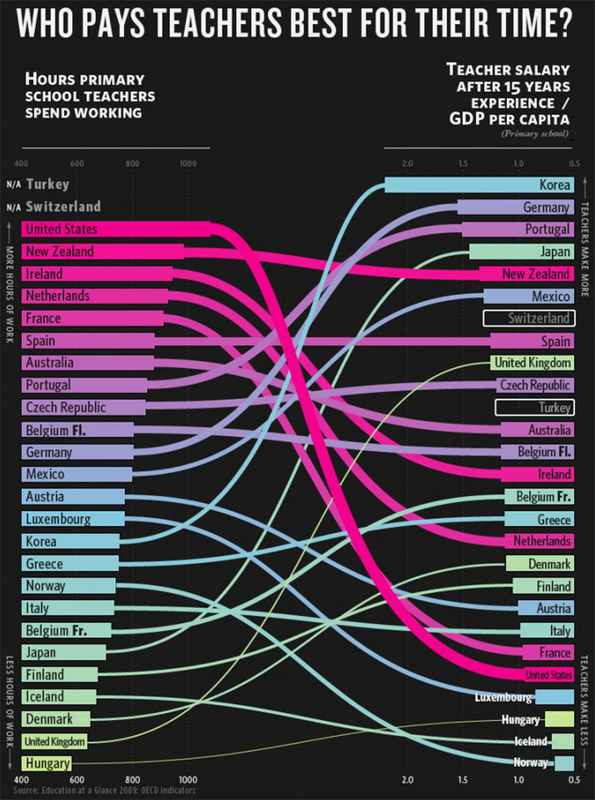 According to a 2006 survey by National Geographic-Roper, nearly half of Americans between ages 18 and 24 do not think it necessary to know the location of other countries in which important news is being made. More than a third consider it “not at all important” to know a foreign language, and only 14 percent consider it “very important.” So, why is it important to know about humans living in different places and in different ways? Because we are part of a massive global economy where our local actions, in the aggregate, have massive global consequences. Thomas H. Benton, “On Stupidity,” The Chronicle of Higher Education (1 Aug 2008). California Academy of Sciences, “American Adults Flunk Basic Science: National Survey Shows only One-in-Five Adults Can Answer Three Science Questions Correctly,” dated 25 Feb 2009, accessed 20 Nov 2009. Nicholas Carr, “Is Google Making Us Stoopid?” The Atlantic (July/August 2008). Richard Hofstadter, Anti-Intellectualism in American Life (Knopf: 1963). Intercollegiate Studies Institute American Civic Literacy Program, “Our Fading Heritage: Americans Fail a Basic Test on Their History and Institutions,” updated 20 Feb 2009, accessed 20 Nov 2009. Susan Jacoby, “The Dumbing of America: Call Me a Snob, but Really, We’re a Nation of Dunces,” The Washington Post (17 Feb 2008) p. B01. National Endowment for the Arts, “Literary Reading in Dramatic Decline, According to National Endowment for the Arts Survey,” dated 8 July 2004, accessed 22 Nov 2009. National Geographic Society, “Young Americans Still Lack Basic Global Knowledge, National Geographic-Roper Survey Shows,” dated 2 May 2006, accessed 20 Nov 2009. Student Learning Outcomes: Another Silver Bullet? When I was in the tenth grade in high school, during the Cold War era, my civics class was having a teacher-moderated discussion about the nuclear arms race between the Soviet Union and the United States. 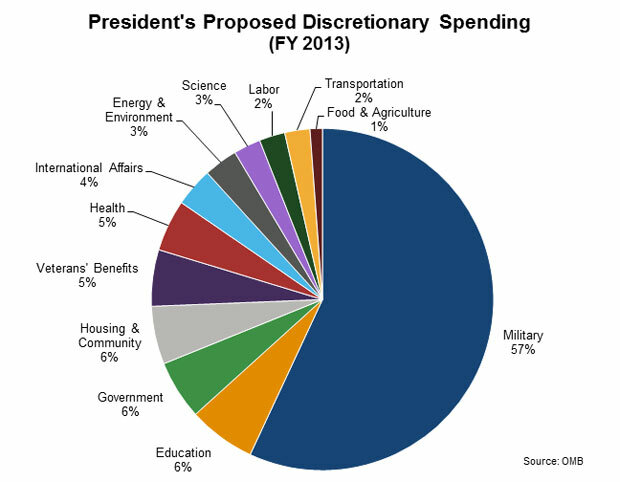 The question, from what I can remember, was whether the U.S. should increase its number of nuclear warheads. I was silent during the discussion, as is customary for an introvert like me, so when the teacher called on me to express my opinion, I said what was on my mind at that moment – I said the issue was moot since once either side began a nuclear war, so many nuclear explosions would occur that life as we know it on this planet would be over. Well, that comment sank faster than a proverbial lead balloon. No one wanted to contemplate the real consequences of what they were talking about, and I had just burst their bubble. So, the teacher ruled my comment irrelevant and continued the discussion as if I had never said a word. You would think I would have learned the real lesson from that class period – that one should never point out to others that the emperor is not wearing any clothes. But I am also stubborn by nature, and so I will say in the remainder of this essay what many people in the education industry probably don’t want to hear, much less agree with. The history of American education is replete with examples of supposed panaceas. Taking the shape of “reforms,” these well-meaning efforts — often worthy in themselves — have dotted the educational landscape since the time of Horace Mann in the 1830s and 1840s. For example, the common school itself would remove all crime and poverty from American society. Mann described it as the “greatest invention ever made by man.” The devotional reading of the Bible in schools would result in a virtuous America. Texts such as the McGuffey readers would unfailingly instill the “right character” in the students. The public school of the early 20th century would make good, loyal Americans out of the children of the immigrants who were then arriving in large numbers. In the mid-20th century, the “Life Adjustment” curriculum would prepare all American youths for satisfying lives as individuals, family members, and citizens. 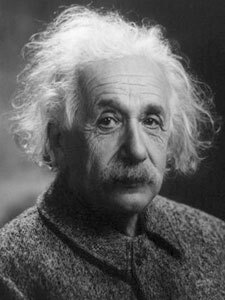 The infusion of funds into the science and math curricula by the National Defense Education Act would help the U.S. “catch up” with the Soviets in the post-Sputnik era, instill needed academic rigor in the secondary school curriculum, and fittingly challenge our “gifted” students. Potential panaceas grew in number as the 20th century progressed. We were greeted with open education, which would educate the young “naturally.” Schools would play a central role in the War on Poverty. Accountability, especially in the guise of performance contracting, would make the schools accountable to their constituents. Behavioral objectives would serve as an infallible means of achieving the goals of effective teaching and learning. Such pedagogical movements as modular scheduling would provide the proper organizational pattern for the curriculum. Site-based management would remove the educational problems created by large size. Mr. Hunt cautions that “only when we see history as a ceaseless, uninterrupted flow that influences the present and are willing to learn from it will we avoid being victimized by the latest ‘silver bullet. '” For example, in terms of secondary schools in the United States, the public education profession has been guided for nearly a century by the belief that the difficult task of teaching a wide range of students to use their minds well isn’t really necessary; this implies that most students are better served by being taught to use their hands rather than their heads. This long-standing and deeply seated anti-intellectualism in public education, from its turn-of-the-century origins to the “life-adjustment” movement of the 1940s and 1950s and the neo-progressivism of the 1960s and early 1970s, has been well documented by David Cohen in The Shopping Mall High School (1985), by Pulitzer Prize-winning authors Lawrence Cremin in The Transformation of the School (1964) and Richard Hofstadter in Anti-Intellectualism in American Life (1963), and by Diane Ravitch in The Troubled Crusade (1983) and Left Back: A Century of Failed School Reforms (2000). Such history brings today’s “standards movement” into much sharper focus. It’s one thing for state and federal policymakers to impose demanding new academic standards on public schools; it’s another to realize that public school systems were never organized to deliver a serious academic education to more than a fraction of their students. Most school leaders didn’t think they should teach serious academics universally, nor did they have enough highly-trained teachers to do the job. I will come back to anti-intellectualism in a few moments. Another impetus for SLOs could be the additional revenue for the publishing industry that sells stuff about it (the training handbooks alone run 50-70 pages) and for the testing agencies that sell the standardized exit exams. And even if the assessments are flawed and meaningless, at least they produce what the government likes best: numbers. Politicians and administrators often make another claim about SLOs, namely, that they are driven by issues of cost and affordability – “the public will be asking more critically than in the past, ‘What are we getting for our money? '” However, in my years of teaching at the college level, I cannot remember one time that any student or parent asked, “Can you demonstrate learning outcomes?” or “What am I getting for my money?” Exactly who is the “public” in all these discussions about the “public” wants to know? Furthermore, proponents of SLOs don’t realize that higher education does not merely equate to acquiring new information. It involves growth, critical thinking, values definition, and applying what you learn, among other things. By saying that what we provide in higher education is equal to reading a stack of books is insulting. Higher education is just as much, if not more, about the experience as it is about earning a degree. That SLOs are about “student learning” is the first, and biggest, lie. There is no objective evidence that SLOs have any positive effect on learning at all, although there is evidence that they negatively affect learning because they encourage dumbing down and teaching to the test…. A few years ago, the Western Association of Schools and Colleges, (WASC), adopted SLOs as a totalizing basis for accreditation and in a single stroke made fundamental changes in the definition of what we do and the way we do it. For years we had been assured that “Assessment rubrics and student learning outcomes are just data collection and will never be used for teacher evaluation.” In fact, expected outcomes and assessment schemes are perfectly suited for use on teacher evaluation forms and already have been. But anyone who actually teaches knows that the most important factor in education is the student. The greatest effects on student learning are the individual student’s knowledge of subject, self motivation, language proficiency, disposition, parental support, social skills, talent, physical and mental health, preparation, cultural background, religious beliefs, political persuasion, commitment, desire, determination, level of cognitive growth, age, and work ethic. Student learning outcomes are silent on all these factors. …Because student attainment of stated SLOs will affect teacher evaluation, SLOs actually create downward pressure on curricular standards. If I am to be judged by my students’ achievement on outcomes tests and SLO guarantees, I will spend my class time on the most testable and achievable SLOs so as to insure “student success” on the exit test. The next step involves the current buzzword: “alignment.” Certainly, if the English 1A SLOs at one college are producing a higher metric of “student success” than other schools, the logic of SLOs is to identify such “best practices” and create statewide alignment of them. Voila! One hundred nine schools, one curriculum, one set of outcomes, one exit test, and one set of textbooks. Another common but egregious lie is that learning outcomes do not compromise academic freedom. On the contrary, SLOs are the greatest danger to academic freedom in my professional lifetime. The fact that WASC’s definition of SLOs mentions “attitudes” I find chilling. The heart of academic freedom is the conviction that both education and community suffer when teachers are forced to embrace a single viewpoint. To the contrary, our highest courts have held that society benefits when students are exposed to various academically legitimate yet contradictory ideas. The last paragraph is most provocative. Could the real reason politicians are pushing SLOs is because they want to just look like they’re doing something to improve student performance? From their point of view, it’s better to hold the teachers accountable (read: blame the teachers) than the students and their families, since there are more voters among the latter and the latter don’t want responsibility for student performance, anyway. Of course, there are also other forces at work here, including the ever-present financial motive for anyone who has something to gain from a new education fad. Obviously, the accreditors have families to support, so they have got to get with the program if they want to keep their jobs. Increasingly, career-minded students see college – or at least required courses – as an imposition between high school and the good life, an obstacle to be gotten over as soon as possible, just like high school was…. To attract and reassure such students, colleges and universities are wont to talk about them as being consumers of higher education. This notion implies, of course, that the desires of the customer reign supreme (“consumer sovereignty”), that the customer should be easily and completely satisfied, and that the customer should try to get as much as possible while paying as little as possible. When this consumer model is applied to higher education, it has disastrous effects on academic standards and student motivation. The consumer model implies, for instance, that university “services” – among them, courses – should be shaped to satisfy student tastes, and that students can use or waste these services as they see fit. When students think of themselves as consumers, they study only when it is convenient (like shopping), expect satisfaction with little effort, want knowledge served up in “easily digestible, bite-sized chunks,” and assume that academic success, including graduation, is guaranteed. After all, failure – or consumer dissatisfaction – is “ruled out upon payment of one’s tuition”. When taken to its logical conclusion, as many students do, the consumer model implies that students buy grades by paying for them through learning. Students who subscribe to this notion try to be consumers by paying – that is learning – as little as possible. A few carry it even further, and believe that whenever they learn something they have actually lost in the exchange. 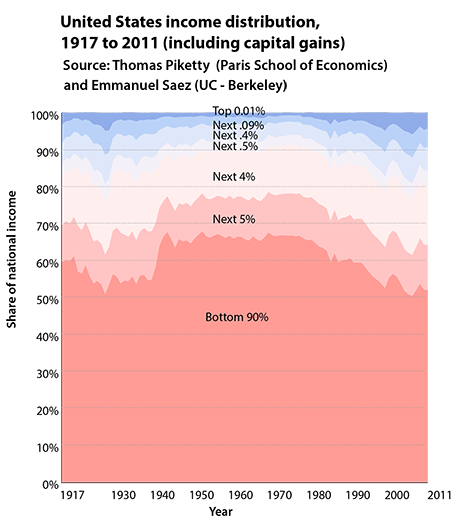 The situation has only gotten worse in the last twelve years. Much worse. In May of 2001, Massimo Pigliucci, who is professor of philosophy at the City University of New York-Lehman College in Brooklyn, New York, published a very enlightening essay entitled, “The Many Faces of Anti-Intellectualism”. Since I am interested in this topic, and since Dr. Pigliucci has given permission to freely repost his essay on the Intenet, it appears below in its entirety. For I believe that the teachers who are skilled in disputation and those who are occupied with astronomy and geometry and studies of that sort do not injure but, on the contrary, benefit their pupils, not so much as they profess, but more than others give them credit for….it seems to me both that those who hold that this training is of no use in practical life are right and that those who speak in praise of it have truth on their side….For while we are occupied with the subtlety and exactness of astronomy and geometry and are forced to apply our minds to difficult problems, and are, in addition, being habituated to speak and apply ourselves to what is said and shown to us, and not to let our wits go wool-gathering, we gain the power, after being exercised and sharpened on these disciplines, of grasping and learning more easily and more quickly those subjects which are of more importance and of greater value. 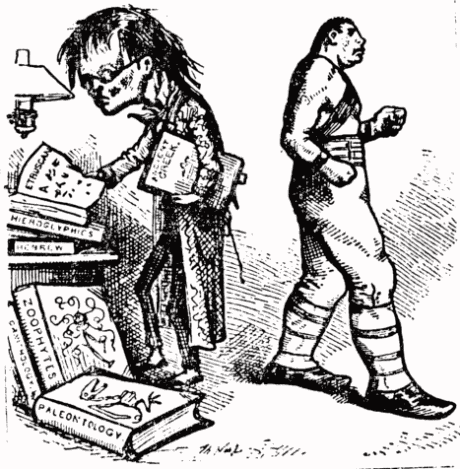 Political cartoonist Thomas Nast in 1875 contrasts a reedy scholar with a bovine boxer, epitomizing the popular view of reading and study as antithetical to sport and athleticism. Isocrates. Isocrates with an English Translation in three volumes, by George Norlin, Ph.D., LL.D. (Cambridge, MA: Harvard University Press; London, William Heinemann Ltd., 1980).